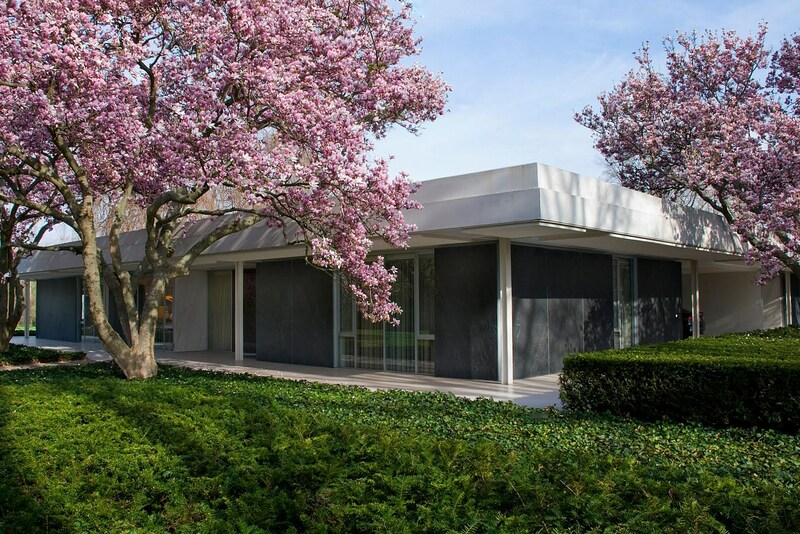 Originally commissioned by Indiana based, modern architecture patron, J. Irwin Miller and his wife in 1953, and designed by famed architect Eero Saarinen, the classic modernist Miller residence was declared a National Landmark in 2000 and finally became the property of Indianapolis Museum of Art after Miller's wife, Xenia Simons Miller passed away there in 2008. 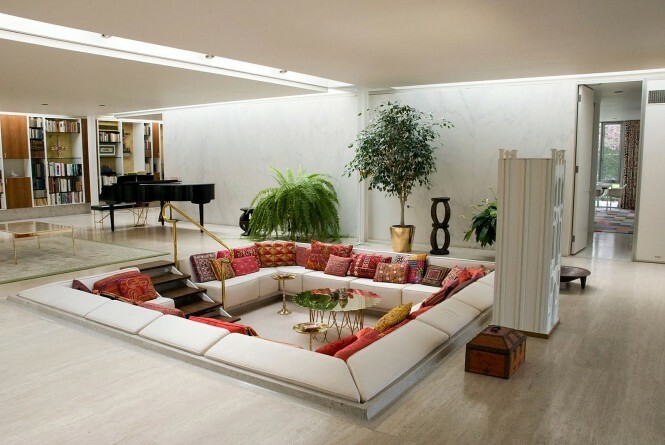 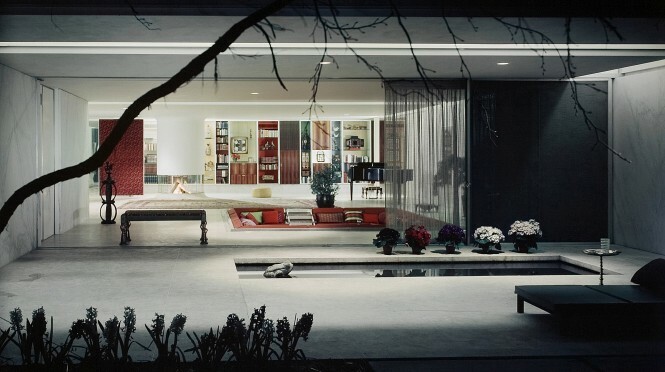 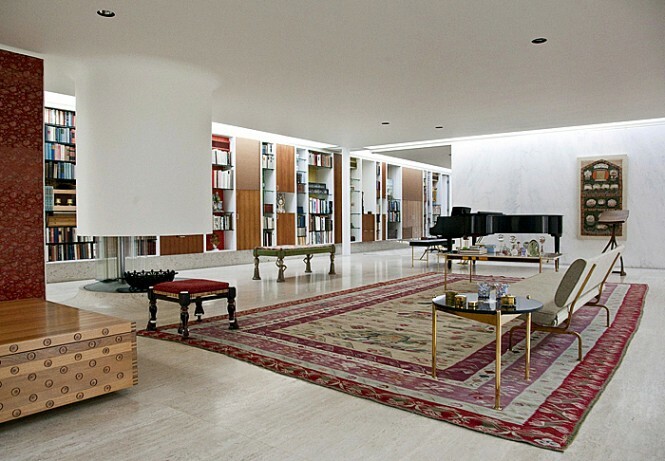 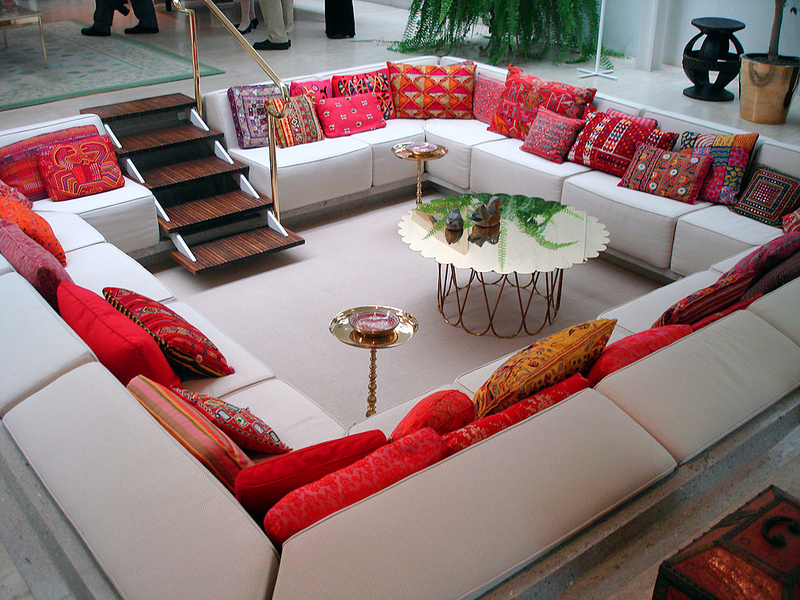 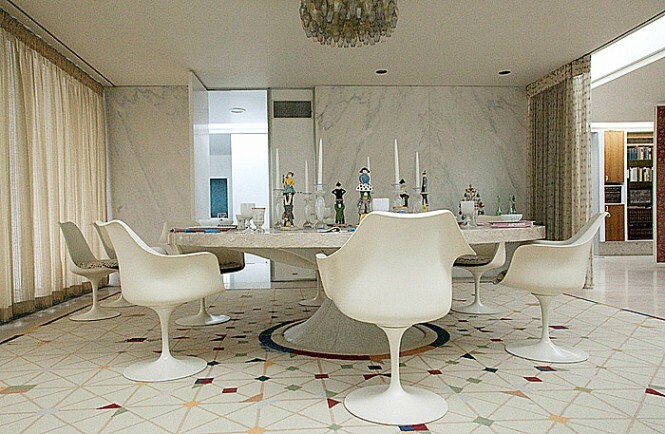 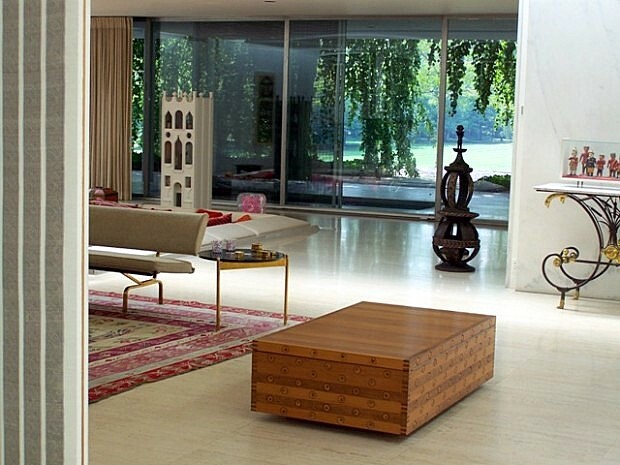 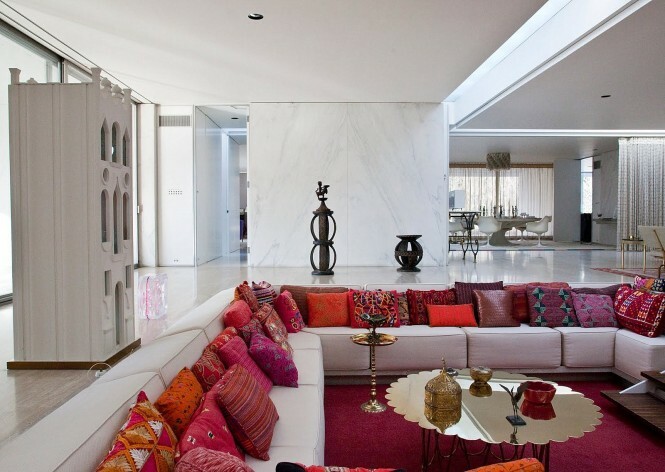 Saarinen ensured the Miller’s home design was based around entertaining their important guests, with the installation of a huge sunken conversation pit in the lavish central living area. 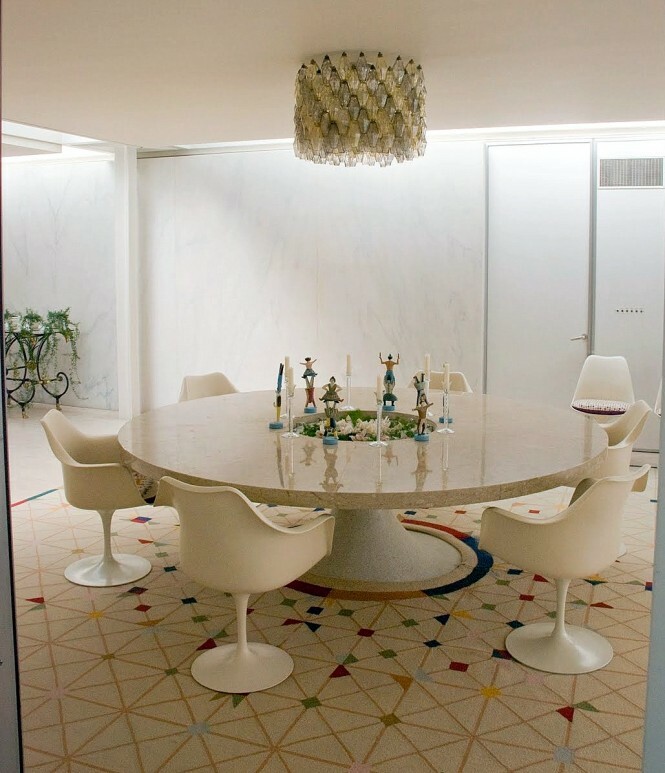 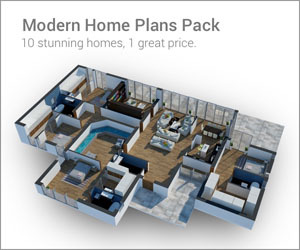 Four other private areas spoke from this hospitality hot spot, for adults, children, guests, and house servants plus kitchen and laundry utilities. 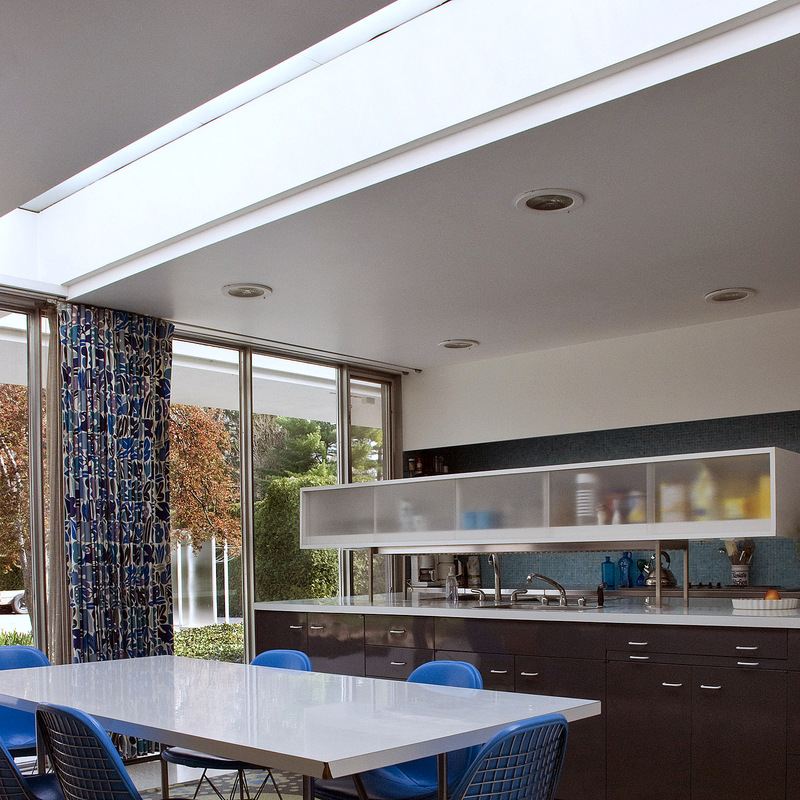 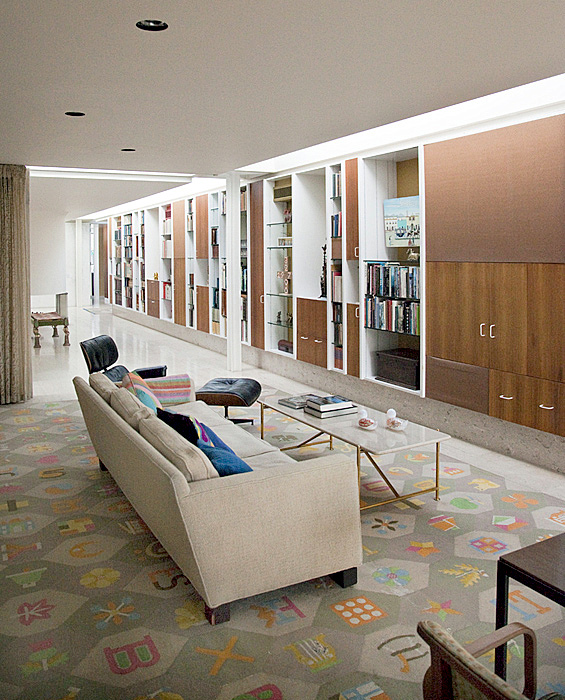 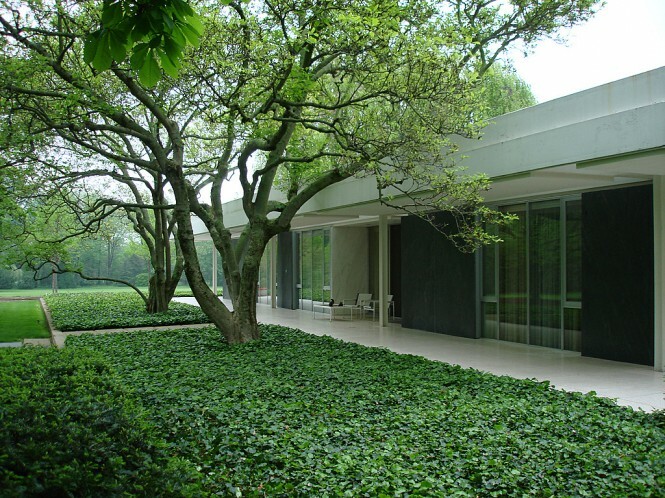 As one of the very few family homes that Saarinen designed, it is an excellent example of modernist architectural tradition, seen in the flowing open plan, the floor to ceiling windows in stone walls, and flat roof. 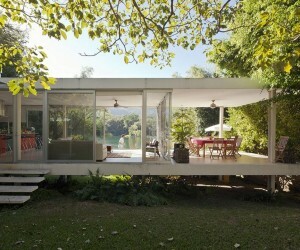 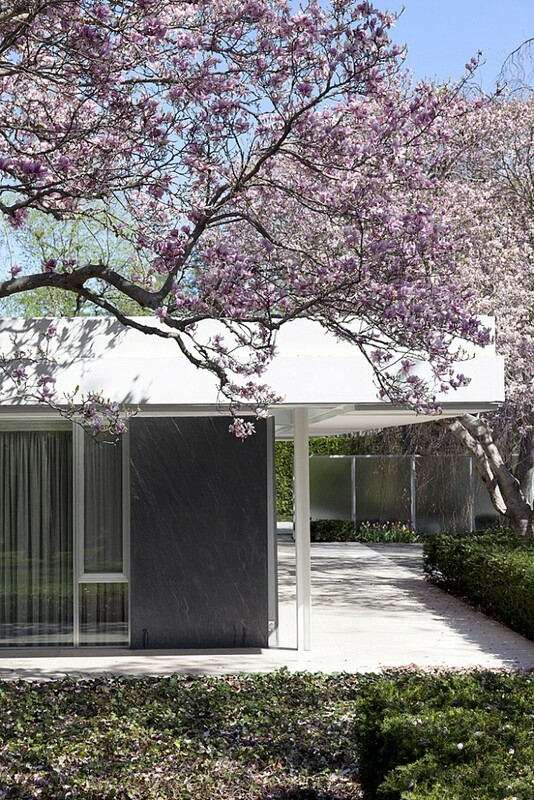 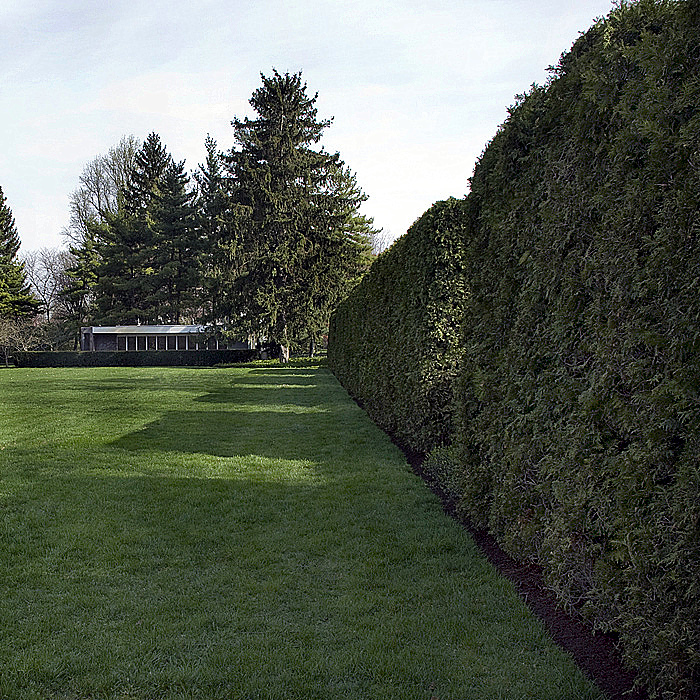 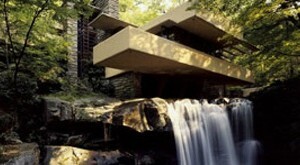 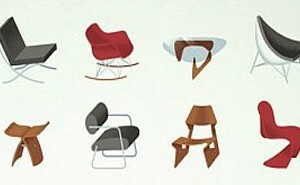 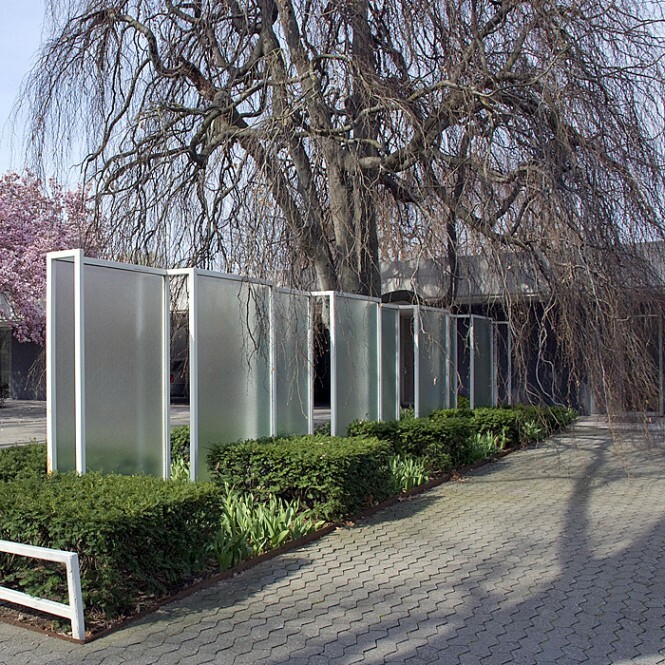 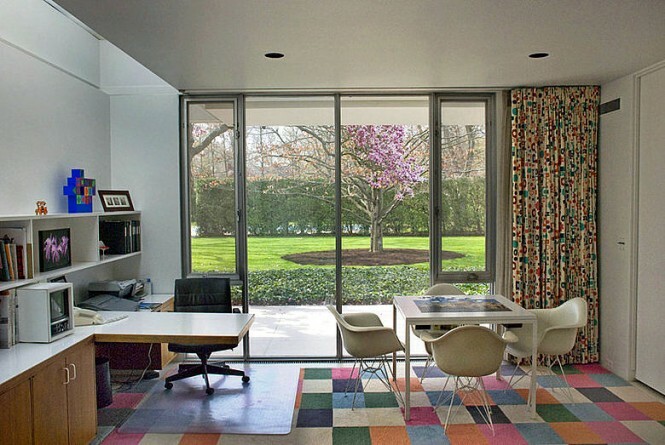 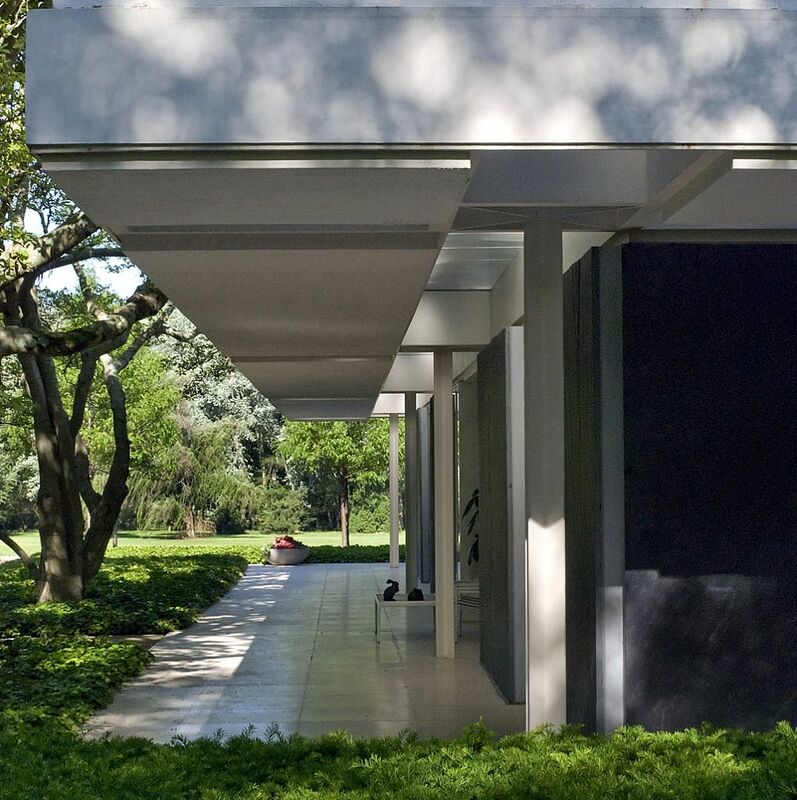 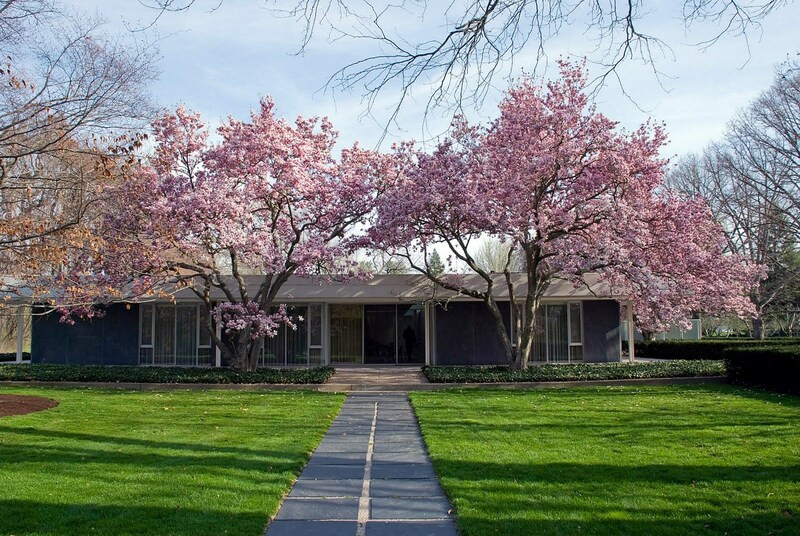 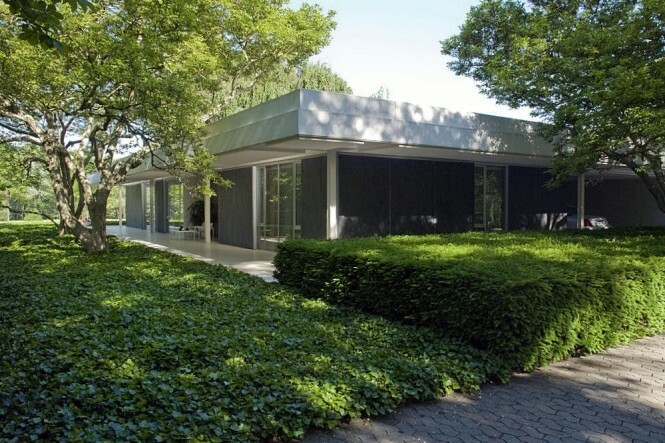 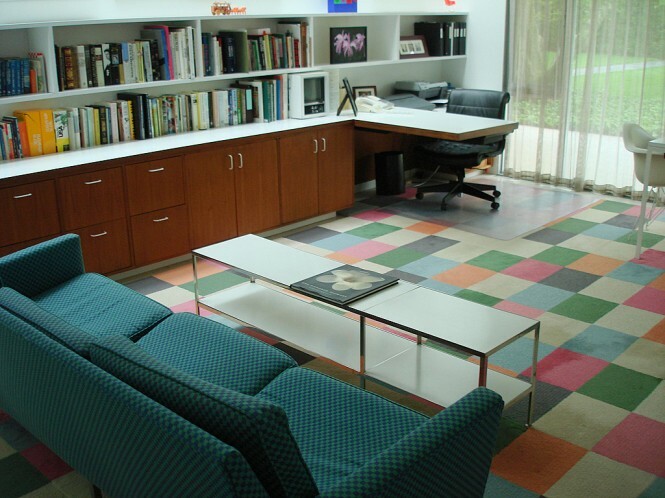 At approximately 6,838 sq ft the entire design and construction process took four years to complete, finalizing in 1957, and boasts an impressive portfolio of work by a menagerie of 20th century talent including landscape architect Dan Kiley, interior designer Alexander Girard, and principal design associate at Saarinen office, Kevin Roche.